Along Owl Creek Pass Road, July 14, 2007. 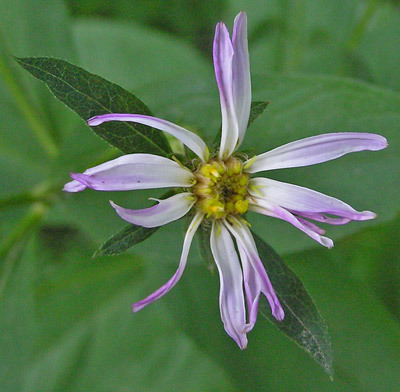 Eucephalus engelmannii grows in open montane woods to five feet tall with large, sessile leaves for most of its height. Largest leaves are toward the middle; lower leaves are much smaller, often quite reduced in size and withering at flowering time. Leaves have prominent veins. 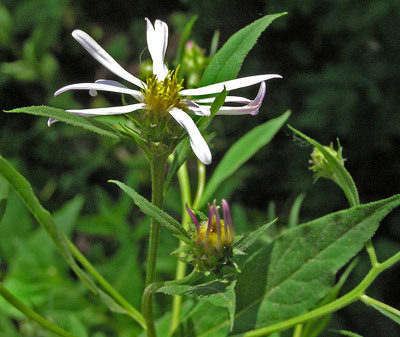 The species was named Aster elegans by D. C. Eaton in 1871 from a specimen probably collected by Sereno Watson. 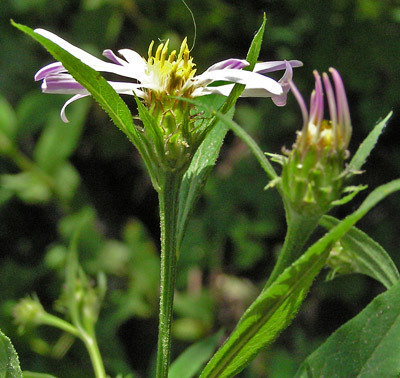 Asa Gray renamed the plant Aster engelmannii in 1884 and Edward Greene renamed it Eucephalus engelmannii in 1896. "Eucephalus" is Greek for "well-developed head". The few ray flowers (10-17) range from white to pink, especially turning pink as they age. Outer phyllaries on Eucephalus engelmannii are strongly veined and shingled (over-lapping); inner phyllaries are purple-tinged. 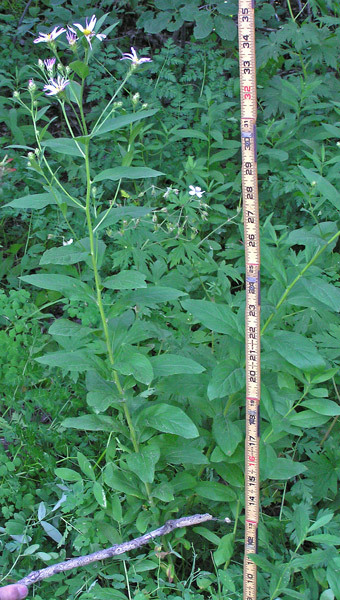 Some outer phyllaries are quite long, strongly veined, and sharply pointed.